Mark's Tickets is the best place to find tickets for Colorado Avalanche fans. Just check this page for any new events or schedule updates throughout the year. We sell tickets to every Colorado Avalanche game around the world. We know how passionate Colorado Avalanche fans can be about hockey, so we make sure to have hundreds of tickets for every game available right up until it starts. For those looking for cheap Colorado Avalanche tickets, we offer tickets starting at very low prices (many times below face value). 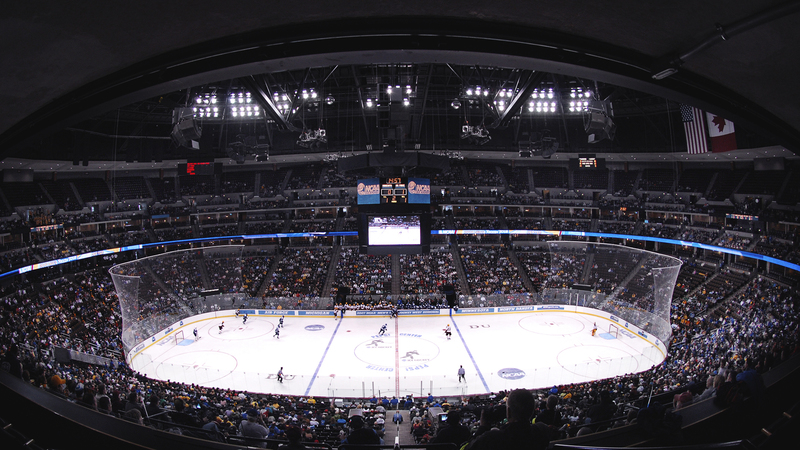 We offer tickets in most sections of every venue that you can see Colorado Avalanche. Simply choose the city or venue that you are interested in below, and you will be able to see all of the available seats. Do not forget that Marks Tickets also specializes in sold out Colorado Avalanche tickets. No longer will sold out shows prevent you from seeing Colorado Avalanche. The Colorado Avalanche are a professional hockey team that plays in the NHL. The Avalanche play their home games at Pepsi Center in Denver, Colorado. With 82 games per year, and 41 being home games, The Colorado Avalanche are a professional ice hockey franchise based in Denver, Colorado. They are members of the Central Division of the Western Conference of the National Hockey League. Their home arena is the Pepsi Center. Their current head coach is Patrick Roy, and their general manager is Greg Sherman. The Avalanche were founded in 1972 as the Quebec Nordiques within the rival World Hockey Association. The Nordiques became members of the NHL in 1979 with the NHL–WHA merger. Following the 1994-95 season, the Nordiques were sold to the COMSAT Entertainment Group of Denver and relocated there, where they were renamed the Avalanche. In their first year in Denver, the Avs won the Pacific Division and went on to sweep the Florida Panthers in the Finals, becoming the first NHL team to win the Stanley Cup in the season following a relocation. Among teams in the four major American professional sports leagues, only the National Football League's Washington Redskins have also accomplished the feat. This was the first major professional sports championship a Denver-based team would bring to the city. In the 2001 Stanley Cup Finals, the Avalanche defeated the New Jersey Devils 4–3 to win their second and most recent championship. Coincidentally, the Devils had preceded the Avalanche in Denver; they were called the Colorado Rockies. The Avalanche have won eight division titles and qualified for the playoffs in each of their first ten seasons in Denver; this streak ended in 2007.